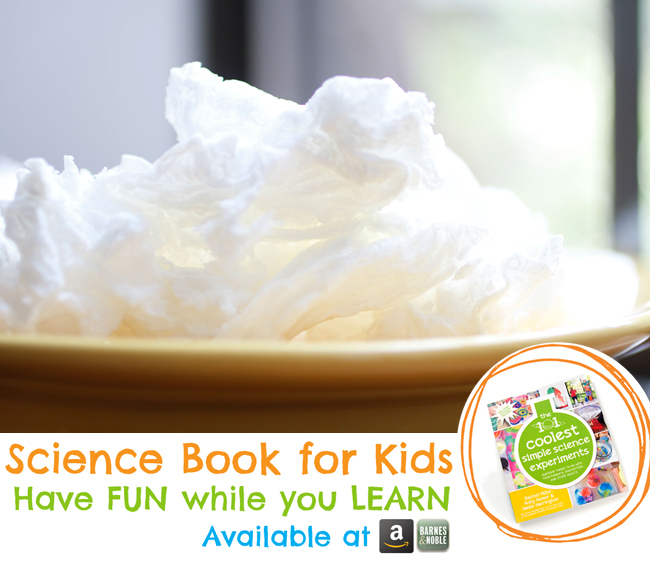 How to make Erupting Ivory Soap: If you think baking soda and vinegar eruptions are cool, then you’re going to love what happens to a bar of ivory soap when you put it in the microwave! 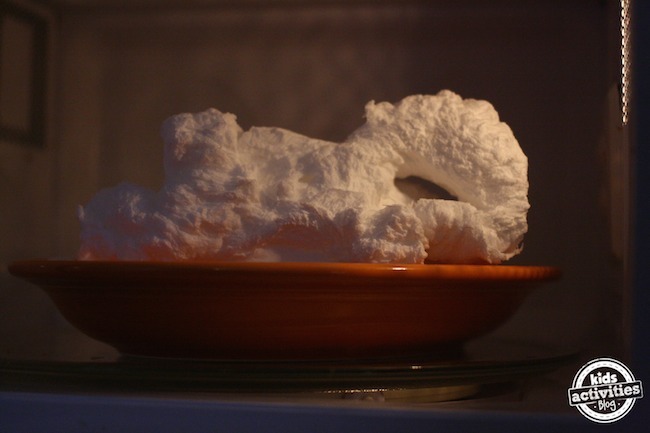 Put your bar of soap on the plate and microwave it for 2 minutes. The action starts right away as the soap quickly starts to grow. When it stops growing you can stop the microwave, although it won’t harm anything if it runs for the full 2 minutes. The soap just won’t grow any bigger at that point. My son was absolutely giddy watching this for the first time…and every time after that. I must admit I haven’t gotten tired of watching erupting soap either! When the soap had finished erupting, this is what we got. There is a scientific principle called Charles’ Law which states that the volume of a gas directly increases with an increase in temperature. So the hotter air gets, the more space it wants to take up, and the more pressure it will produce in order to take up that space. 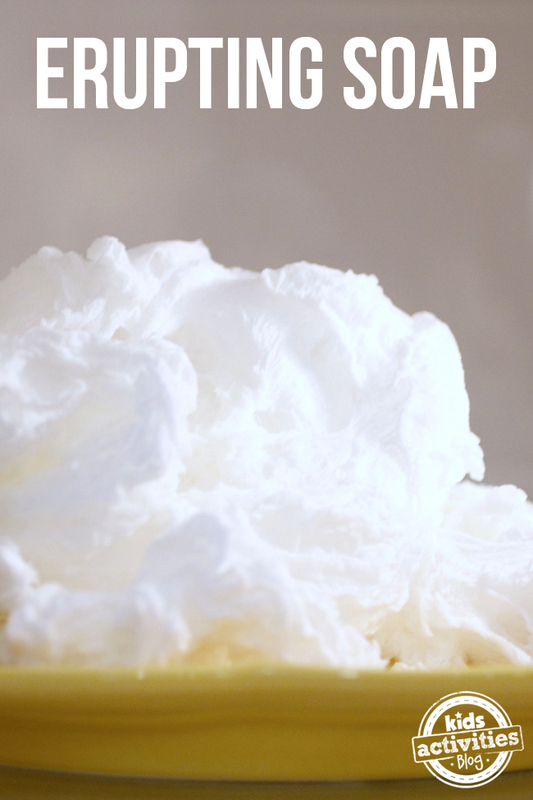 Ivory soap is an unusual kind of soap, in that it has a lot of air pockets in it. There is also a lot of moisture in Ivory soap. When it is heated, the soap softens but before it gets close to melting, the moisture in the bar gets hot and turns to gas (steam). Add that to the already present air particles throughout the bar and you’ve got a lot of steam trying to get out. As the steam pushes its way out, it expands the soap. Related: Here’s a simple animation of Charles’ Law to help explain how volume and temperature are directly related. Other soaps are not as porous as Ivory soap because they do not have air pockets throughout. Therefore, the steam isn’t able to build up inside it and instead the soap just melts. Except for the loss of water, this is still Ivory soap. No real chemical change took place. 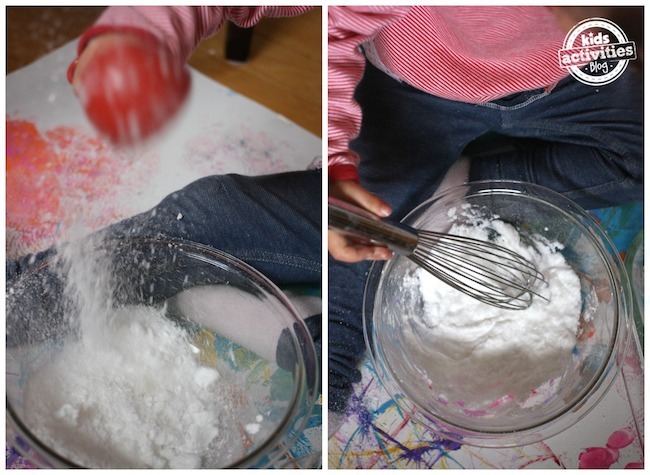 The soap is puffed full of air so we had fun crumbling it up, and then we whisked in a bit of water and made “soap paint”. 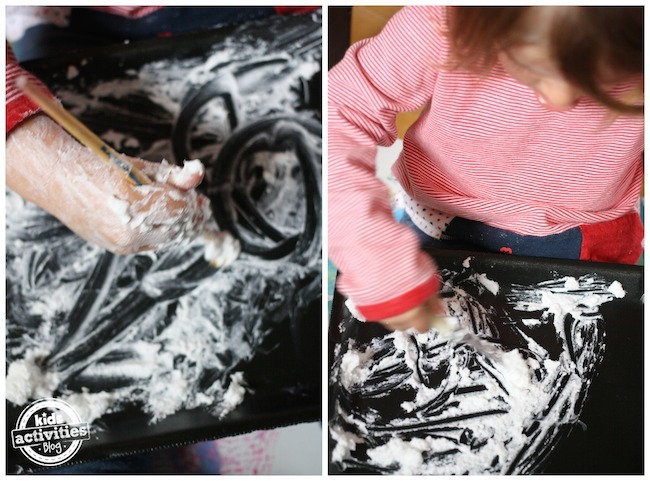 We painted on styrofoam trays both with paintbrushes, and with our hands. Once the “Wow Factor” died down just a little, we decided to get a little more scientific so we pulled out a scale. 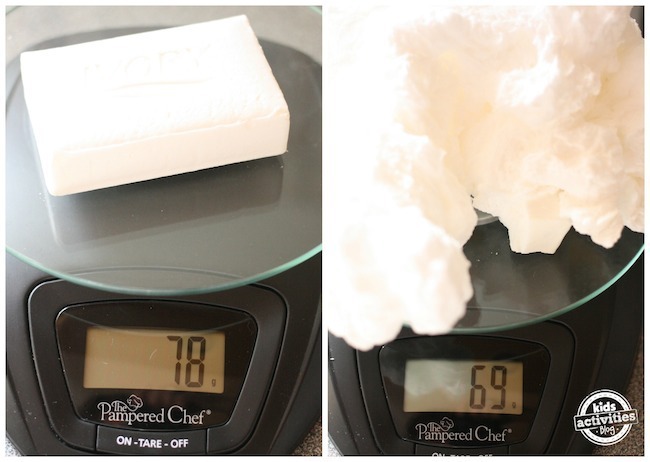 We weighed a whole bar of ivory soap: 78g., and an erupted bar of Ivory soap: 69g. The erupted bar weighed less due to moisture evaporation. 1. The soap has expanded six or more times its original size, but actually weighs less now because of water that has evaporated. Amazing! 2. If you microwave half a bar of Ivory soap, the cut side of the bar will expand significantly more quickly and with more force than the uncut side. In this experiment above, the force of the expansion out of the cut side was so strong that it flipped the bar from its side to an upright position so that the eruption from the cut side was then facing upward. 3. The plate was hot all over after a minute and half. However, the plate was significantly hotter directly under the expanded soap. Microwaves focus on heating water molecules, so the water in the soap heated quickly and made that part of the plate hotter. Previous Post: « Edible Rainbow Craft: A Healthy St. Patrick’s Day Snack! It is the first time I hear about this law. 🙂 I know Murphy’s law since it’s happens to many times to me lol I will absolutely do it with my kids! This is so much fun ! Thank you! This is so absolutely cool! I love knowing the science behind it too. Thanks! Wow! I’d forgotten about Charles’ law. What an excellent explanation of the science. 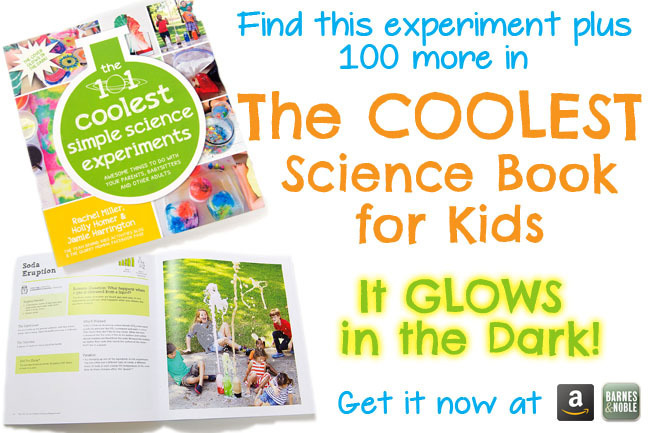 My kids (ages 4, 6, and 8) are going to love this! We’ve done the cloud dough. I didn’t know it weighed less after cooking. Cool! We’ve done this and it’s loads of fun…. my kids were totally amazed! Loved your explanation of what’s happening! This also works with marshmallows- but be very careful since unlike soap, marshmallows _will_ burn. Also marshmallows are elastic, so they will shrink as they cool, and the sugar will crystallize and become stiff. We had a lot of fun using toothpicks to join the marshmallows into snowmen and faces and igloos, and then watching them morph into nightmarish forms. Again, use caution, and supervise closely. I am NOT going out at eight o’clock at night to buy Ivory soap so we can try this….but that’s only because the roads are icy! Hopefully they thaw in the morning because this is just too cool not to try — thanks for sharing it! This is so extremely cool! My kids are going to love it! 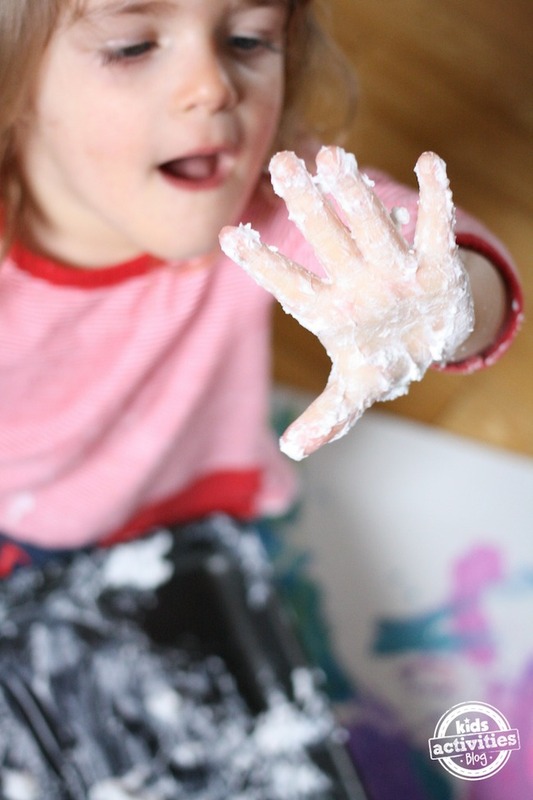 I’d also like to invite you to share this at Teach Me Tuesday at http://PreschoolPowolPackets.blogspot.com — I hope to see you there! Visiting from Tatertots and Jello! This looks like so much fun! I have to buy some Ivory now just to try it! This is awesome! 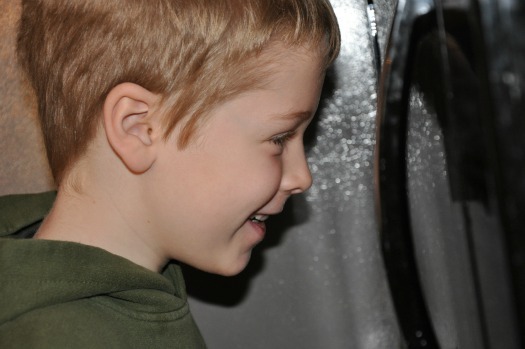 I’m going to have to do this with my son. 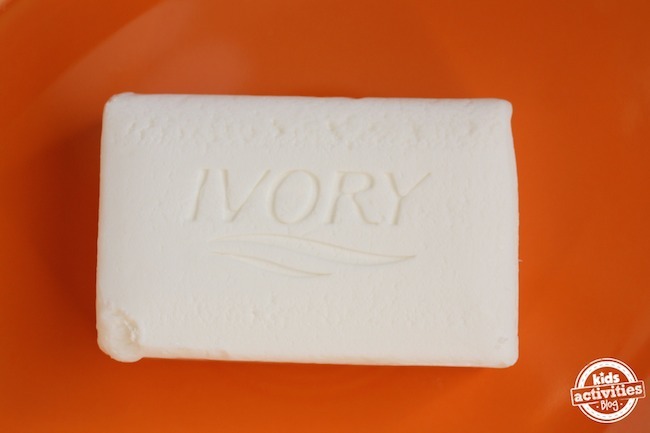 With Ivory soap being so much like Dove in the amount of moisture in the bar. I’m wondering if Dove Soap would have similar results to Ivory soap? stronger. However, for a few breaths and reverse positions.